Relieves aching & soreness from strenuous activity; restores energy. 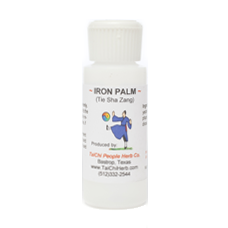 Relieves aching and soreness in muscles and joints from exercise or strenuous activity; restores energy; increases results from physical training. Athletes Replenish nourishes, soothes, and supports nerves, muscles, tendons, and ligaments; and restores depleted energy. Lay aside any concern for aching and soreness in muscles and joints when participating in athletic competition, physical training, week-end warrior, week-end gardening / landscaping, routine exercise, and strenuous work. This herbal moves Blood, soothes the Channels, unblock the Channels. Other indications may include numbness or pain in legs, rheumatism, Blood stasis, Wind-Dampness in channels and collaterals. Athletes Replenish can double or triple the results from physical training. Adult Serving: 4 capsules before routine training or exercise and again after strenuous activity. During daily serious training, take 4-8 capsules daily and 4 more capsules after very strenuous training. Expect quick results. May mix capsules contents in small amount of water or soft food such as applesauce. Note: 4 capsules equals 1 teaspoon powder. Ingredients: dipsacus radix, dynaria rhizome, curcuma rhizome, ledbouriella radix, carthamys flower, corydalis tuber, angelica radix, gentiana radix, daemonorops draco resin, olibanum, ligusticum radix, red peony radix, angelica sinensis. Size: 100 capsules per bottle. Produced by TaiChi People Herb Co, LL in USA.